Are you being hounded by your Suppliers and/or Customers to get Compliant? FACT: DO YOU KNOW THERE ARE AN AVERAGE 201 CYBER COMPLIANCE UPDATES PER DAY ISSUED FROM OVER 750 REGULATORY BODIES WORLDWIDE? 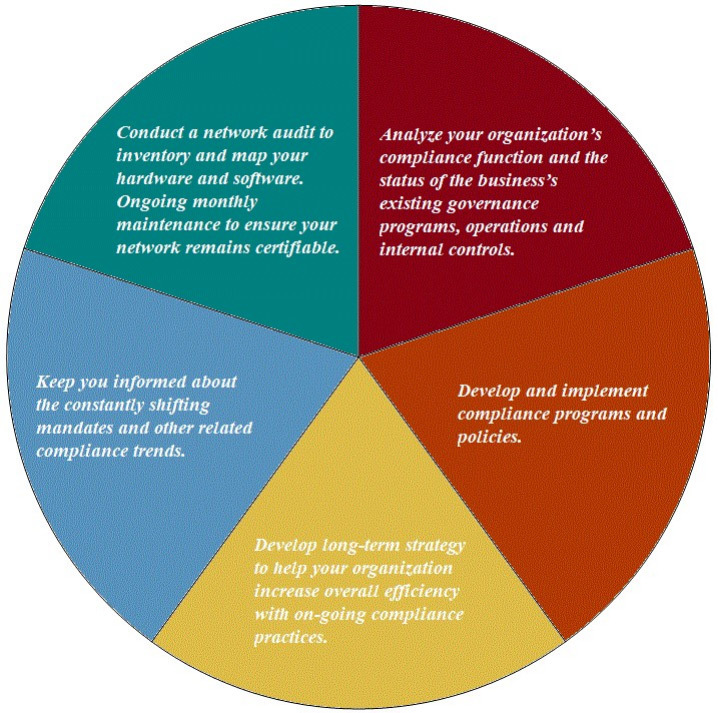 2W Tech’s Cybersecurity Compliance Program was designed to support businesses with their compliance obligations. Most organizations must abide by and maintain a standard for controls that safeguard the confidentiality and privacy of information stored and processed. We work hand in hand with you to learn more about your required compliances, help obtain proper agreements, and access relevant system architecture information.